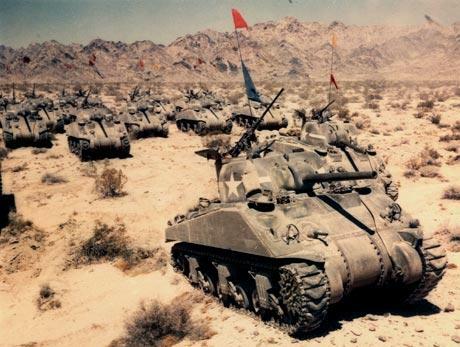 A sufficient number of tanks massed in attack can transform the efficacy of mobile fire into a swarm. Yesterday when I wrote about the Iranian acquisition of the high-performance speedboat Bradstone Challenger (in Speedboat Diplomacy) I also had occasion to review a post from last August, The Power of Mobile Fire, and in retrospect I now see, despite my satisfaction with the argument in the latter piece, its inadequacies. But even as I wrote it I knew that I would need to revisit the topic, for I merely mentioned the contribution of mobile fire to swarming attacks, but did not develop it there because I had only begun to think of it at that point. The Apache helicopter gunship is one of the preeminent weapons of mobile fire of our time. In yesterday’s piece I quoted the Financial Times article to the effect that armed patrol boats based upon the design of the Bradstone Challenger, might be used for, “exploiting enemy vulnerabilities through the use of ‘swarming’ tactics by small boats.” This led me to reflect on what I had previously implied about swarming attacks and mobile fire. 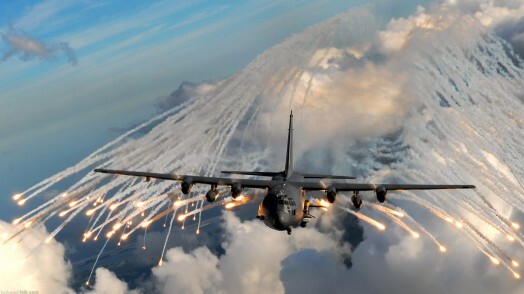 The Lockheed AC-130 gunship is a fixed wing platform for mobile fire. It would be worthwhile to think a little more clearly and more systematically about mobile fire. It would not be difficult to calculate, for various weapons systems, what we might call a mobility quotient, which would take into account the weight (and therefore the inertia), top speed, acceleration and deceleration, time to execute a 180 degree turn (inversely proportional), number of crew required to operate (inversely proportional), and the number of dimensions in which the weapons system in question can operate. This wouldn’t take much research, but at the present moment it takes more time that I am going to invest today. But we can calculate a very rough mobility quotient for some obvious weapons systems by taking top speed multiplied by the number of dimensions in which a weapons system operates. This is limited and imperfect, but it will make a point. 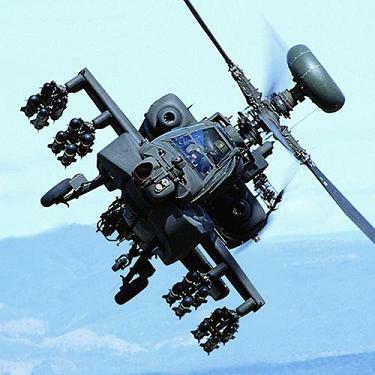 Even a rough calculation of the mobility quotient of a weapons system reveals the differences that should be obvious even without any explicit analysis: an Apache helicopter gunship is far more mobile than a Nimitz class aircraft carrier. The above rough method has obvious problems: the Apache can reverse its facing far more quickly than the AC-130, but the AC-130 has a higher top speed. That is why I said in the above the a more thorough calculation would take in additional factors like the ability to turn and acceleration. Also, a warship or a tank can bring its gun turrets to bear on a target without having to turn to face the target. But I’m sure you get the idea. In The Power of Mobile Fire I identified aircraft carriers as mobile fire, and certainly to an extent carriers and warships are mobile on the seas, but there is a more important sense in which an aircraft carrier is a platform for mobile fire. True mobility on the water would be something like the craft that the US Bureau of Industry and Security warned that the Iranians would make by adapting the design of the Bradstone Challenger: armed with “torpedoes, rocket launchers and anti-ship missiles” with the aim of “exploiting enemy vulnerabilities through the use of ‘swarming’ tactics by small boats”. By the above rough calculation, the Bradstone Challenger has a mobility quotient of 130, better than twice that of the carrier. We know that a small patrol boat would be crewed by just a few men, reducing response time to commands, and that it would turn far quicker than any carrier or warship. Thus a more sophisticated mobility quotient calculation would only show a greater disparity between the large ships and the small boats. The next step is to go from mobile fire to a swarm of mobile fire, and this could also be rendered in a rough calculation such that mobility quotient multiplied by mass (in the sense used in military doctrine, not inertial mass) equals a swarm. That is to say, the mobile fire unit multiplied by a mass deployment equals a swarm of mobile fire. This is where a platform for mobile fire becomes important: an aircraft carrier is sufficiently large to carry sufficient numbers of mobile fire units to induce a mobile fire swarm. On land, an airbase would be a platform for mobile fire. Or, for ground-based swarm attacks, a staging point, perhaps a military base with infrastructure such as fueling and repair, would be a platform for mobile fire swarm attacks. The “maybe not” deserves our attention. Helicopters have the advantage of operating in three dimensions and of speed, but a patrol boat is potentially less sensitive to the direction it is facing, if it has a deck-mounted heavy machine gun with a 360 degree range of motion. Are there patrol boats that have been armed equivalently to the AH-64 Apache? I don’t know. It would be interesting to find out. It would also be interesting to run a war game with patrol boats armed as heavily as an Apache, and with boats and helicopters present in equal numbers. Lessons might be learned that could teach the boats a few things about anti-helicopter tactics. Certainly, somewhere in the world, someone is conducting such exercises, in so far as it is within their capability, and learning the lessons. Presumably this would be those most heavily invested in the idea of swarming patrol boat attacks. It is interesting that this discussion of swarm attacks should emerge at the same time as the BBC has reported swarming tactics by Somalian pirates. In Navies struggle with ‘swarming’ pirates, Rear Adm. Peter Hudson is quoted as saying, “What we’ve seen in the last month in the southern part of the Indian Ocean, the Somali basin, is almost swarm tactics by some of the pirates who try to flood the area with action groups.” While the small pirate boats are mostly taking on unarmed and defenseless commercial shipping, it is also to be noted that the pirate’s boats are far from being anything like the Bradstone Challenger. If the pirates had to take on armed vessels they probably wouldn’t have a chance, but if the pirates, with their experience of small boat mobility and boarding on the high seas, were given a squadron of Bladerunner 51s and more sophisticated weaponry, they might well prove an adversary to a naval ship. Experience is key. It has been reported that the remarkable marksmanship exhibited by the Taliban with weapons such as shoulder-launched missiles is a result of the protracted civil war in Afghanistan and the resultant extensive experience accrued thereby. In a swarm attack one can expect that there is a “tipping point.” This is what a philosopher would call a “sorites paradox” also known as the paradox of the heap: if you progressively add more and more grains of sand together, at some point they stop being a few grains of sand and become a heap. There is no definitive answer to when this transition occurs. That is why it is a paradox. For the same reason, there will be no definitive answer for inducing a military swarm attack: reaching the tipping point from massed deployment to the “lived experience” of a swarm (to borrow a phrase of phenomenology) will always depend upon variable factors like weather, terrain, morale, and cultural factors. In a swarm attack, the forces attacked are ideally not merely demoralized and panicked, they are overpowered, overwhelmed, and utterly bewildered. In other words, the point of a swarm attack is to induce the enemy to experience the sublime. This may sound a little odd, so I will try to explain. While in ordinary language “sublime” is used almost interchangeably with “beautiful,” in the technical jargon of aesthetics it means a distinctive aesthetic experience different from the beautiful. I have written about the sublime several times in this forum, for example, in Algorithms of Ecstasy, The Intellectual Sublime, and Salto Mortale. In the latter piece I elaborated on the Kantian conception of the sublime. Kant, primarily remembered as an abstruse metaphysician, devoted the third of his three critiques to the sublime. He makes a fundamental distinction between the mathematical sublime and the dynamic sublime. While almost all of his examples of the dynamic sublime are instances of natural beauty that overwhelm us, the idea of the dynamical sublime could be equally well applied to war, or perhaps better applied to war. 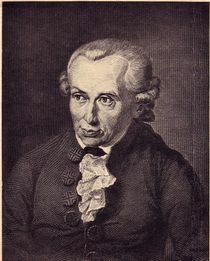 Immanuel Kant wrote extensively on the sublime. To say that war is sublime is not to say that it is good, or that it is inevitable, or that it is anything else flattering or unflattering. The point is that war, and especially the experience of battle, can overwhelm a man, or a group of men, and leave them disoriented and bewildered. One can imagine (I must attempt to imagine for I have never been a soldier and never been in battle), that if one is on the side that is winning, confidence grows and one feels an increasing sense of power and control over the situation. On the losing side, the opposite happens: confidence collapses and one feels a dwindling sense of power and control over the situation. Past a certain tipping point, this lack of control passes over into an experience of the sublime when one is utterly at the mercy of circumstances. I am not suggesting that there is anything essentially new about swarming tactics. On the contrary, in The Power of Mobile Fire I recounted the history of swarming mobile fire in the form of Hittite chariot archers and Mongol mounted bowmen. Moreover, since the emergence of Blitzkrieg, almost all battlefield tactics are implicitly aimed at swarming around and over enemy positions, leaving strong points to be “mopped up” later. What I am suggesting here is that a swarming attack by mobile fire is an effective way to think about such battlefield tactics, and that we can further conceptualize the situation in terms of inducing an experience of the sublime among the enemy. Since the sublime will be culturally relative to a certain degree, military doctrine might profit from studying the culture of the enemy in order to better understand how an experience of the sublime can be induced through military action. I’m thinking about three multi module ship (such as Stanflex 300) one performed as an anti air ship (missile shield) and another two work as an anti surface ship (ship killer). Is it sufficient to tackle a much larger ship (let’s say a perry class) ? what do you think ? The Perry class frigates are older but have proved themselves to be quite durable. Unlike the HMS Sheffield (D80) that was sunk by a single Exocet missile during the Falklands War, the USS Stark (FFG-31)was struck by two Exocet missiles, and while the strike was unprecedented (the Phalanx CIWS didn’t even fire), the ship wasn’t sunk. Moreover the Perry class frigates have been repeatedly updated, though many have been optimized for anti-submarine warfare. So the success of three ships employing Stanflex modules would really depend on how they were outfitted. As the name indicates, Stanflex modules were conceived to facilitate the flexibility of ships configured to mount these modules, and therefore ships so outfitted might mount any number of weapons systems. I will go farther and suggest that equally important as the weapons systems will be the sophistication of the electronic warfare systems onboard. If you’ve got some really top notch radar and electronic counter-measures you are that much more likely to get in, engage, and get out without being taken out yourself. An adequate answer to this question would require a lot of research and some serious thinking about the configuration of the Stanflex ships. However, this is ultimately more a strategic question. Given unlimited funds, you could definitely equip three ships with Stanflex modules to be a formidable challenge to a Perry class frigate, but if you were to pursue an engagement, you would have to consider the political context in which this engagement took place. For this, I suggest you read The Political Context of Striking a Carrier. This question is a great thought experiment, but a more meaningful answer would be possible by specifying further parameters: budget, crew complement, region (Blue water? Brown water? Green Water? ), objective, political context, and so forth. Best of luck with your project, and keep me apprised of your progress!